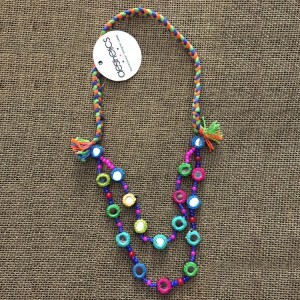 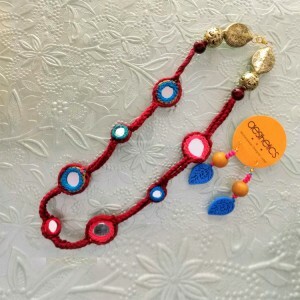 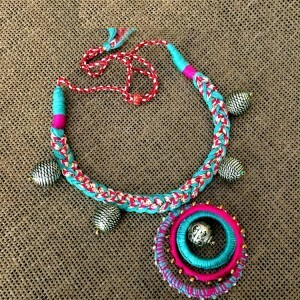 Multi color mirror joint Necklace in combination of antique beads with matching ear studsAdjustable ..
Webed mirror choker in combination with antique beads and thread braiding technique.Adjustable closu..
Handcrafted thread breaded choker in combination with thread work bangle and antique color beads.Adj.. 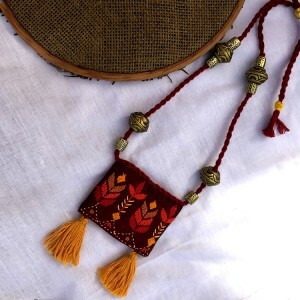 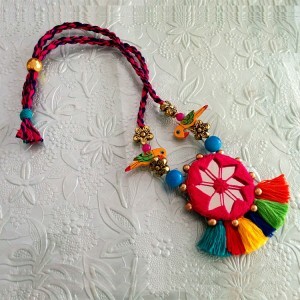 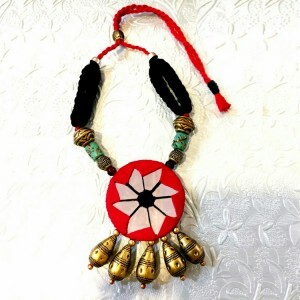 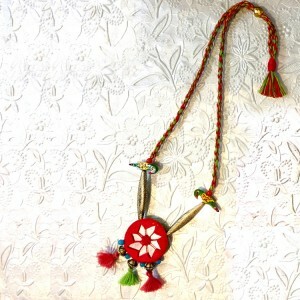 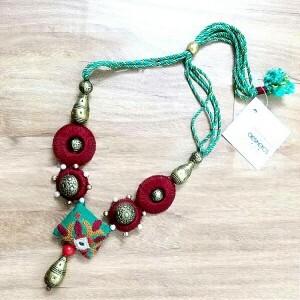 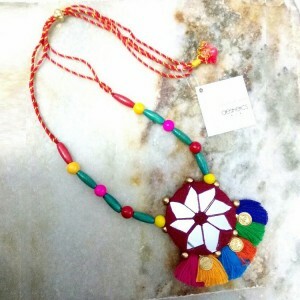 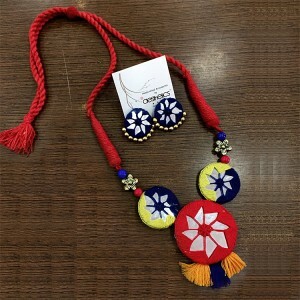 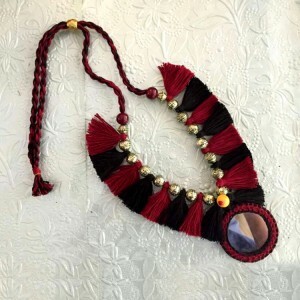 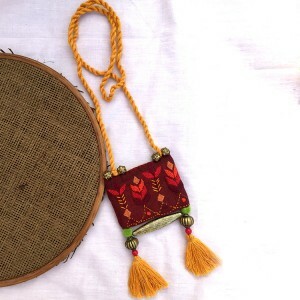 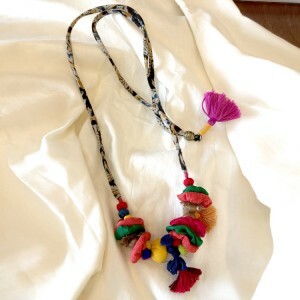 Handmade Necklace in combination of black and maroon tassels with mirror.Adjustable closureCustomiza..
Boho pendant in combination of mirror work with wooden bird embellishments and colorful tassel..
Boho pendant in combination with multi color tassels, antique beads and small birds.Adjustable closu..
Mirror work boho pendant in combination with tassels and colorful beads.Chain ClosureCustomization a..
Boho pendant in combination of mirror work with golden coin embellishments and colorful tassels.Adju..
Small multi color mirror joint necklace in combination with small colorful beads and thread braiding..
Embroidered Potli Necklace in combination with antique beads and thread doriAdjustable closureCustom..
Embroidered Potli Necklace in combination with antique beads and thread work ringsAdjustable closure..
Beautiful combination of thread and mirror work handcrafted necklace with handcrafted wooden cut wor.. 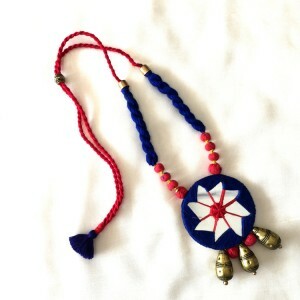 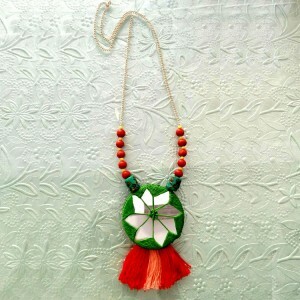 Fabric flower joint necklace in combination with fabric potli and thread tassels.Adjustable closureC..